Dr. David Sugarbaker is a world-renowned doctor and certified thoracic surgeon widely credited for developing the first tri-modal treatmentapproach for malignant pleural mesothelioma. His current leadership appointments include Professor of Surgery and Chief of General Thoracic Surgery at the Michael E. DeBakey Department of Surgery and Director of the Lung Institute at Baylor College of Medicine. Formerly, Dr. Sugarbaker served as Chief of Thoracic Surgery at Brigham and Women’s Hospital, Chief of Surgical Services at the Dana-Farber Cancer Institute, Executive Vice-Chair of Department of Surgery at Brigham and Women’s Hospital, and Professor of Surgery at Harvard Medical School. Dr. Sugarbaker completed his undergraduate degree at Wheaton College in Illinois and received his MD from Cornell University Medical College in 1979. In addition, he completed residencies at several prestigious hospitals including Peter Bent Brigham Hospital, Brigham and Women’s Hospital, Toronto General Hospital and Toronto Hospital for Sick Children at the University of Toronto. Extrapleural pneumonectomy – This is a serious surgical procedure that includes the removal of the diseased lung and the areas surrounding it. Sugarbaker is one of the most skilled in the country at this surgery but patients must be in overall good health to be a candidate for the procedure. Certain other parameters exist as well, including the fact that the disease must be limited to just one pleural surface. Cardiac and kidney function must be optimal as well. Pleurectomy – In some cases, Sugarbaker’s tri-modal approach involves the use of pleurectomy instead of the more serious extrapleural pneumonectomy. A pleurectomy involves the removal of both layers of the lining of the lungs, known as the pleura. Again, the patient must be in otherwise good health to be eligible for this procedure. Chemotherapy – Adjuvant chemotherapy is employed after surgery in order to combat any remaining cancer. As such, Sugarbaker and his team have been experimenting with intraoperative, intracavitary hyperthermic chemotherapy in order to better target cancer cells. Radiation – Adjuvant radiation of the external beam variety is also used to kill any cancer cells remaining after surgery. 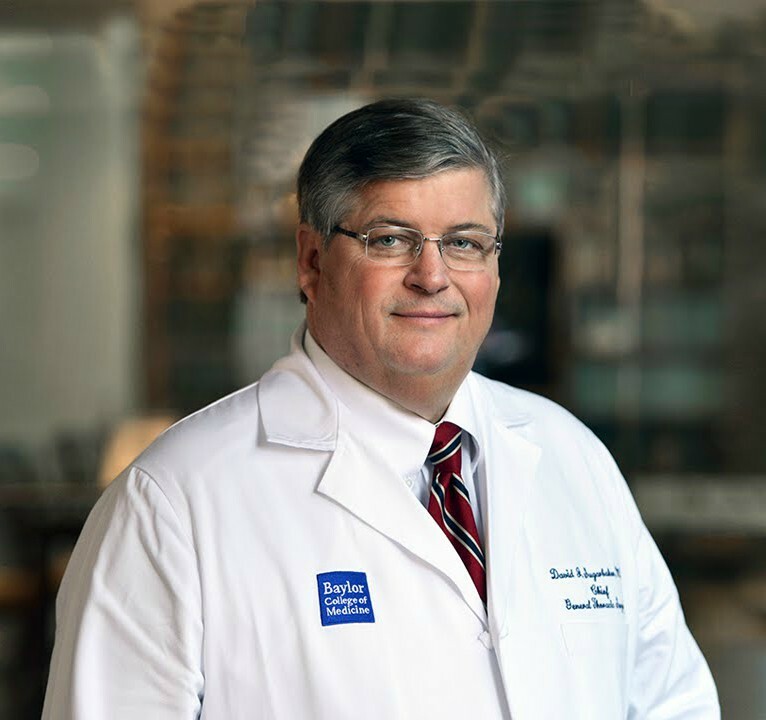 Dr. Sugarbaker’s research and experience, as well as his application of this tri-modal procedure, has led to significant improvements in survival rates among malignant pleural mesothelioma patients. In addition, Sugarbaker’s research focusing on the better tailoring of cancer drugs to individual patients was profiled in the Wall Street Journal in 2008. As the leader of a small study at Brigham and Women’s concerning genetic mutations in cancer cells, Sugarbaker’s team discovered that every patient’s tumor boasted a different group of mutated genes and that no gene was mutated in more than one patient, explaining why chemo works for some and not for others. The research team argues that the research of these mutated genes in each cancer patient would better assist doctors in choosing the correct drug(s) for treatment and, hence, better the prognosis for many patients.